The Campsite Award is a popular industry prize for campsites. The award recognizes the best campsites in various categories. All campsites within Europe may participate. 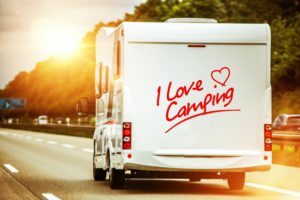 The participating campsites are evaluated by the readers of the magazines “Reisemobil International”, “Camping, Cars & Caravans”, “CamperVans” and “Glamping”. This ensures the voting of independent camping enthusiasts. A special evaluation procedure developed by us allows the jury to rate campsites fairly and comparably. Awarded are the best three campsites in each category. The vote for the Campsite Award 2019 will start in October 2018. Camping operators can participate until the 28th of September 2018. Patron of the Campsite Award is DoldeMedien Verlag, based in Stuttgart. It is the publisher of numerous caravaning titles, such as “Reisemobil International”, “Camping, Cars & Caravans”, “CamperVans” or “CampingImpulse”.